Probably the best choice for e-commerce under a WordPress environment, WooCommerce deliver all the juice you need for a successfully e-commerce business. WooCommerce is built using WordPress best practices both on the front and the back end. This results in an efficient, robust and intuitive plugin. 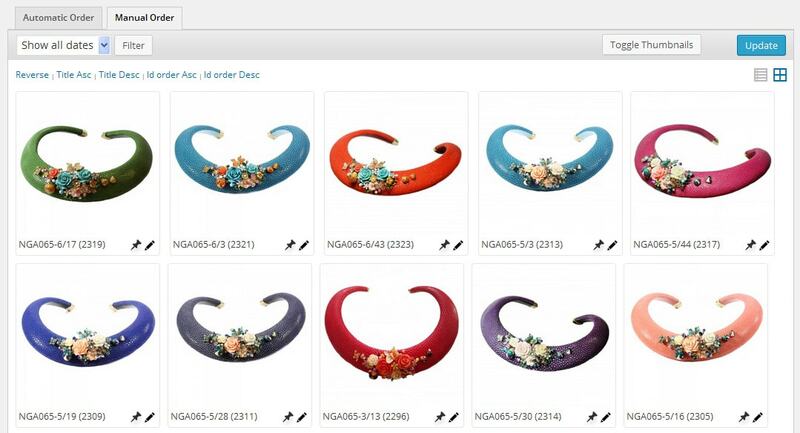 Product Sorting has been introduced reticently, as an easy method of order customization, this can be done using a drag and drop interface which is similar to default WordPress admin Products archive. This is a great way for keeping the best selling products on top of the list, which will give a boost to sales . Any decent shop will always use categories to keep the products in one place and make easier access to a certain type of goods. The product sorting can be done for each category using the filter that the admin sort interface display in the first part. Using other plugins, why my order list broke for a category while i was doing another sorting for a different one? For all other plugins, the product sorting rely on the default menu_order property, which unfortunate can keep only a value at a time. Giving that if a product belong to multiple categories, only the very last sorting order value will be held, everything else will be overwrite. In other words, if you set a sorting for the products which belong to a category, going to the next one will remove the order you set previously. Obliviously we don’t want that, as every category is required to use a very specific order to achieve planned results. Advanced Post Types Order is a specialized application, the perfect tool for managing the product sorting while keeping the order applied for other categories. No matter the number of categories which belong to a product, the number of categories need to be sorted, all order lists are saved and kept as defined! The order can be also set for other taxonomies defined like Product Tags, Tags etc, everything while keeping the sorts for the other places. Re-order can be done using a simple drag and drop interface, then using Update to save. A huge bonus for this plugin is the fact that it can be used also along with all other custom post types within your site (i.e. posts, pages, reviews, movies etc), practically you can sort the order for any content / post type / product. The usage is very simple, once deployed the plugin will take care of the order update within the front side, no coding updates are necessarily.